Phobophobia is a walk through horror maze type attraction, and it’s not for the faint hearted! You’re in the dark the whole time you’re in the maze, and there are weird sounds, smells, flashing lights and of course scare actors ready to jump out at you! I took Dan with me to hold my hand, protect me, all that manly stuff, but I think he was actually more anxious than me! When we arrived at The London Tombs we were given our time for entering the attraction and were able to leave bags and coats at the cloakroom as you don't really want anything awkward to carry with you through the attraction - flat shoes are a good idea too! When it was time for us to go in, we started the maze with a group of other equally terrified people, and met our first scare actor – a creepy mad scientist / human-butcher type guy who led us through the entrance of the horror maze and waved us off as we headed in to meet our doom…. I won’t spoil the experience by telling you everything that happened next, but I’ll give you a few of the gory details just to give you a flavour of what Phobophobia is like. Inside the maze it’s properly scary and you will scream – a lot! I don’t consider myself to be a wimp, but things do make me jump quite easily, and the whole combination of the darkness, odd sounds and smells and unfamiliar surroundings, as well as the expectation of something jumping out on me, had me on edge from the very beginning. Everyone in the group that I went through the maze with seemed to be the same, and we all ended up holding hands despite being complete strangers and we made a pact not to leave anyone behind! I didn’t envy the guy at the front at all as he had to face everything head on, whereas being near the back, I had more of an idea of what was coming from everyone else’s reaction – didn’t stop me jumping out of my skin though! The whole maze experience lasted around half an hour, which I think adds to the whole scare factor as you’re continually watching your back and anticipating the next gruesome sight for that whole time, and your fear heightens as the time goes on – plus I thought the attraction built up and became a lot scarier too, but maybe that was just me! 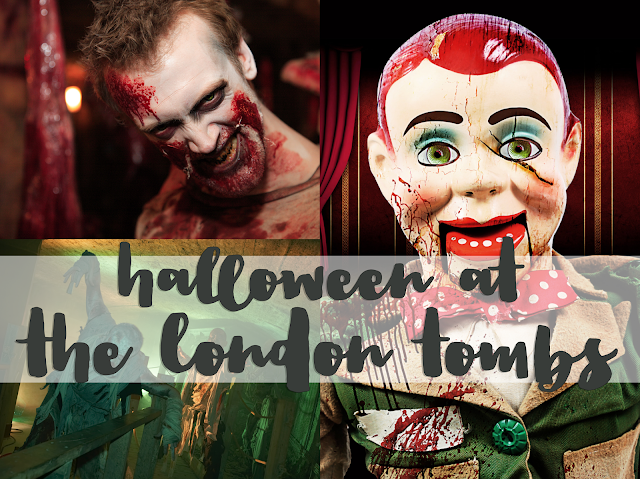 There’s lot of blood and gore, severed body parts, terrifying clowns and sinister dolls throughout the maze, so if they’re you’re kind of nightmare, prepare for a scare! There was a lot of detail that I probably missed as it’s generally quite dark in the maze, and in some sections I was so worried about what was going to get me next that I kind of hurried through! During the parts when I felt a little bit braver, I noticed how amazingly detailed every part of the maze was – each room that you enter is like the next scene in the story and there are tonnes of props and décor to keep you immersed in the atmosphere. The designers must spend all year preparing the sets for the maze! 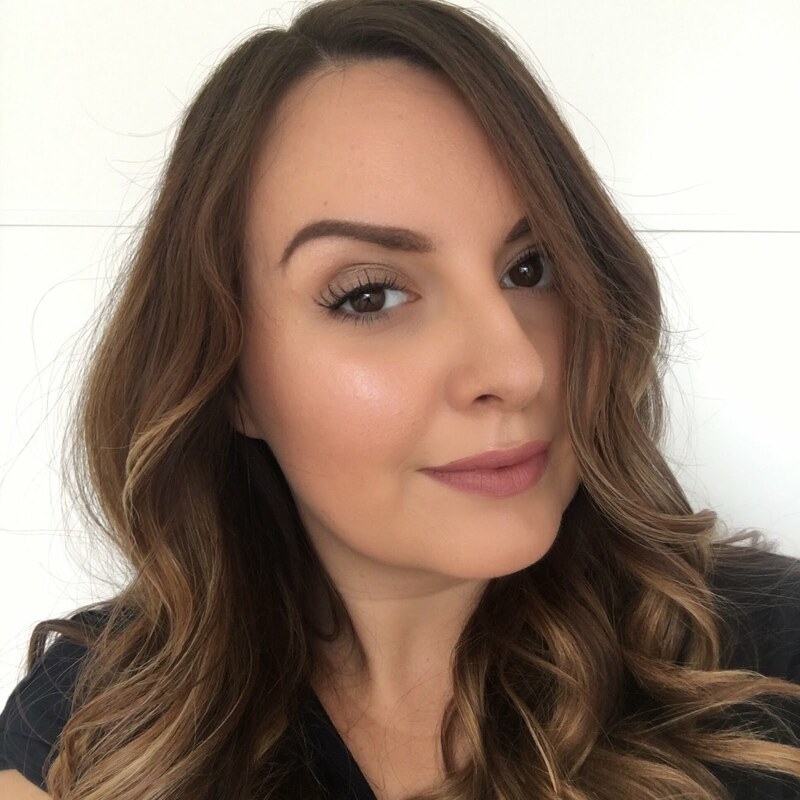 Some of the maze takes place in very dark and confined spaces, so a bit of a challenge for anyone who’s claustrophobic – I’d count myself as being mildly claustrophobic, but I decided to challenge myself go in to that section of the maze anyway. The big squeeze was the worst part as you have to squeeze through a tight inflatable tunnel – I didn’t like the feeling of being trapped and confined as there were people in front and behind so I couldn’t get out if I wanted to, but I just kept telling myself that I’d soon be out the other side, and trust me, nobody dawdled through that section anyway! The bit at the very end (I won’t tell you what it was, don’t want to spoil the surprise!) was the most terrifying to me, but I think part of what made it so impactful was the fact that I’d spent the last half an hour being well and truly creeped out! As much as I screamed my head off and needed to hold someone’s hand at all times, I absolutely loved the experience and had so much fun. Dan was more apprehensive prior to the experience as he didn’t really know what to expect, but really enjoyed being in the maze once we were there. He said that the scariest part for him was being at the back of the group, as he kept feeling like there was something behind him! He also found the end part the most terrifying and we found ourselves running for the exit and then falling about laughing about how silly we were once we were back on safe ground! I’ve never been to The London Tombs before, or to one of their Halloween attractions, but it’s safe to say I was thoroughly impressed with the detail and quality of the horror maze. 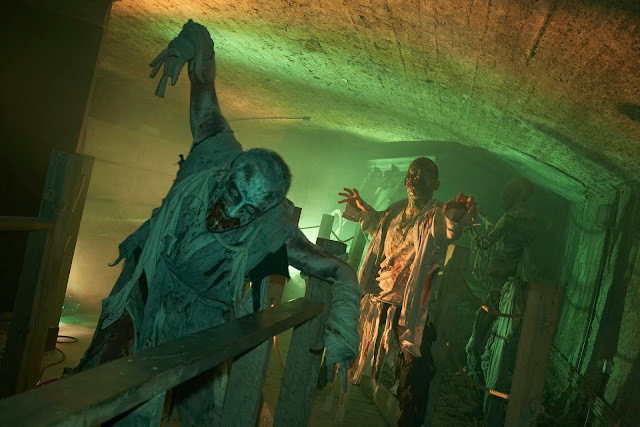 I’ve been to Halloween Horror Nights at Universal Studios in Florida, and I would rate The London Tombs as being on the same level in terms of attention to detail of the sets, the actors and the whole experience. I actually prefer The London Tombs experience in that you are continuously within the horror maze for the full experience which allows the terror to build - it’s also much better value for money in my opinion too. Phobophobia is on every evening from 22 to 31 October. Tickets are available now at attractiontix.co.uk and thelondonbridgeexperience.com and I think it's just about the scariest thing you could do this Halloween! 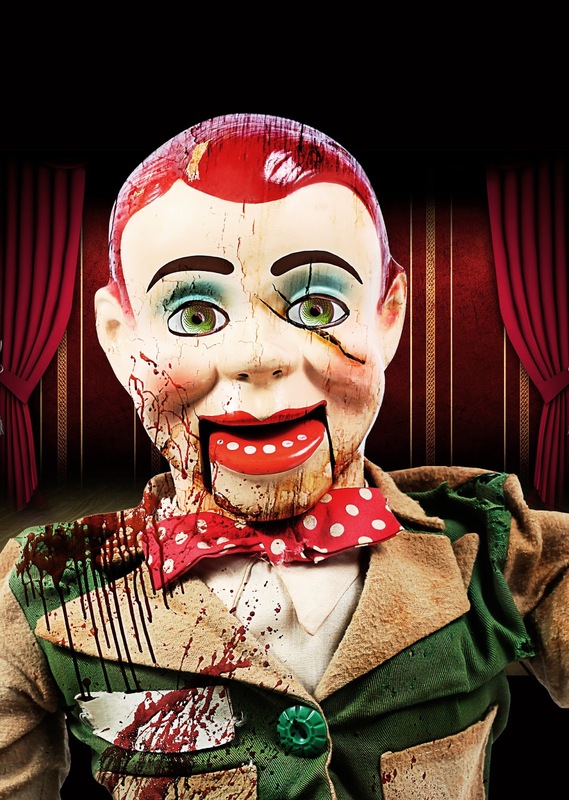 Would you venture into The Ventriloquist Nightmare?